Black, Anodized Aluminum Dog Tag, 24 in. Chain. 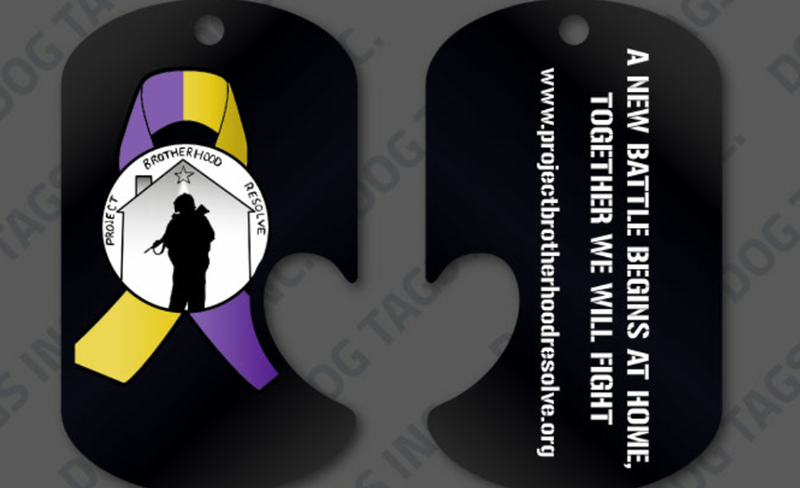 Front: Project Brotherhood Resolve Logo and Back: Project brotherhood Resolve Logo and website.